Much like the East-West Shrine game, the Senior Bowl is an event for NFL draft prospects to showcase their abilities in to NFL scouts, GMs and coaches. The Senior bowl which follows the Shrine game, is a higher profile event which in recent years has become more of a showcase event than in years past. 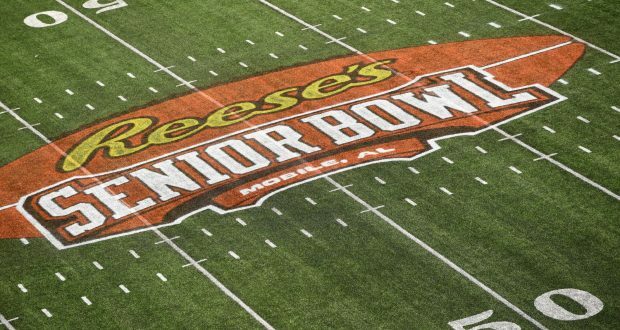 Just as you’d expect, underclassman are ineligible for the senior bowl so don’t expect to see any of some of your likely favourite prospects at the senior bowl. You’ll have to wait until the NFL combine for that. This piece is going to feature a few different players from each position with a brief description about their college production and why I am looking forward to seeing them in the game. There are always a few players who have really good game and is a good way to get a bit of tape on some lesser known players in pro-style offences ahead of the draft. Unfortunately, not all the players who made this list were healthy enough to participate but they are good names to know going forward if you are just beginning the scouting process. Now that the likes of Baker Mayfield and Patrick Mahomes are putting some RESPECT on the name of Big 12 quarterbacks I think it’s safe to say that Grier is a very intriguing player to watch at the senior bowl. He transferred from University of Florida after his freshman season and proceeded to light up the Big 12 for nearly 3500 yards and at least 34 touchdowns in back to back seasons at UWV. He finished 4th in the Heisman voting in 2018. He’s a polarizing prospect because either you love him or hate him it seems. He’s already turning some heads at the senior bowl practices this week clocking in a 66MPH max exit velocity on one of his throws, highest of any QB thus far. What I feel is super unfair though is Grier is playing with two of his teammates from college, David Sills V and Gary Jennings which gives him a huge leg up to impress in the game because if you’ve ever watched a West Virginia game, they have great chemistry. I’m expecting Grier to light it up, because he’s been falling down draft boards and will be looking to boost his stock. Jones is an intriguing name because he’s a prototypical big quarterback with a big arm and has the ability to run. People have been giving him Josh Allen comparisons and while I feel it’s a little bullish, Jones in some ways does fall into that mold. He was a 3-year starter at Duke after redshirting as a freshman and was fairly consistent year to year throwing for about 2700 yards each season and 52 career passing touchdowns. He was a 60% passer and ran for 1323 yards and 17 touchdowns on the ground in three seasons as their starting quarterback. Gardner Minshew II, Washington State. A graduate transfer from East Carolina, Minshew put CFB on notice by thriving in that high-powered Washington state offence where he completed over 70% of his passes for 4776 yards and 38 touchdowns. He was the PAC-12 OPOY and finished 5th in the Heisman voting. A very spectacular year for him, but with limited experience in a power 5 conference despite his production it’s hard to say if he was a flash in the pan or a future good quarterback. He could do himself a lot of good with a good week, and if he struggles it could really hurt his stock with such a limited resume against strong competition. Williams was stuck behind Josh Adams, who is now the likely starting running back for the Eagles and was suspended by Notre Dame for the first 4 games of the season for getting arrested over the summer. 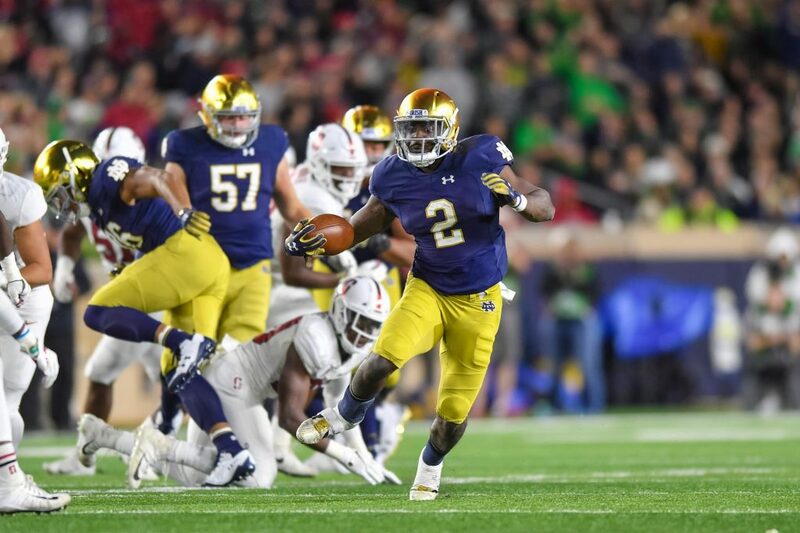 After coming back, he assumed the full time roll at running back for the Irish and racked up 995 yards (6.3YPC) on the ground and 12 touchdowns in only 9 games. Much like Miles Sanders (Penn State) he was stuck behind a highly productive running back and is declaring with a limited, but productive resume in his final season with hopes of making a name at the next level. 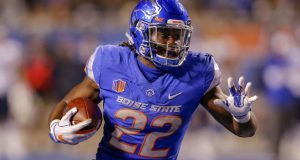 Look for Dexter to stand out in a relatively thin field of running backs, he should have a good senior bowl. Wes Hills, RB, Slippery Rock. This small school player could really stand out in a limited field of running backs. Outlined in great detail by my fellow nerd Jon Diment here a few weeks ago. He could be a lesser known player with a lot of upside if he continues to show well to NFL scouts. Trying to make a name for himself now Hills is a hungry player and is ideal size to hold up to a workload. Im definitely interested in seeing how Wes Hills performs at this week’s Senior bowl. Look out for him and shout out to Jon for the great piece on him. 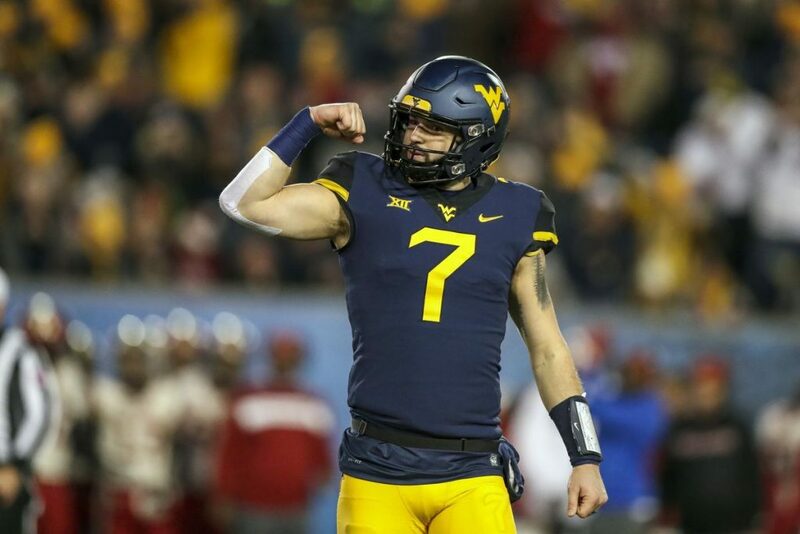 Sills is a converted quarterback who has made a name for himself by getting downfield and finding success despite such limited experience as a WR. Jennings didn’t really see major playing time or production until the Grier stepped in as the starting quarterback. As the two big downfield threats for Grier it’ll be interesting to see how that translates to the senior bowl practices and game. Sills is the higher rated prospect by most and 33 touchdowns in two years will do that for you. There is quite a few exciting WRs, but these two need to show off their ability (or inability) to run routes to give scouts a better feel for their overall skillset. Deebo was a standout as a sophomore, which included a few missed games in which he still caught 59 passes and 783 yards. Followed that up with an injury in his junior year he had no choice but to return for his senior year. Even still this year Deebo went through his struggles with him and Jake Bentley not always being on the same page. He’s a big target who can make contested catches and is crafty in the redzone. It will just be a question as to if he can meet the athletic benchmarks and run good enough routes to separate at the next level. 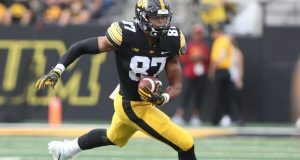 Early reports have him being a standout in practices and I would expect that to continue going forward as probably one of the highest rated WRs at the senior bowl this year. Hunter Renfrow, Clemson. Renfrow is a very talented slot receiver that excelled in the Clemson system for 4 years, never catching less than 33 receptions and 493 yards in any college season. He’s not going to blow you away athletically but he has the ability to break defenders down and get open with reliable hands. Most college football fans know who he is for his performances against Alabama but he may have even more to offer at the next level despite being a little undersized. Andy Isabella, UMASS. Isabella has been generating a lot of hype heading into the senior bowl and it’s been justified heading in to practices so far. In his senior season he had 102 receptions, 1698 yards and 13 touchdowns. Isabella has speed to burn and is super shifty in space. He could be an absolute PPR monster at the next level cause he’s just so fast and is near impossible to cover on crossing routes. Listed at only 5’10, 190 lbs, but don’t let that fool you. He dominated college and if he continues to prove it this week he could be a big riser once the combine comes around. He’s said to have recorded a 4.26s 40-yard hand time so I’m expecting in the low 4.3s. Anthony Johnson, Buffalo. 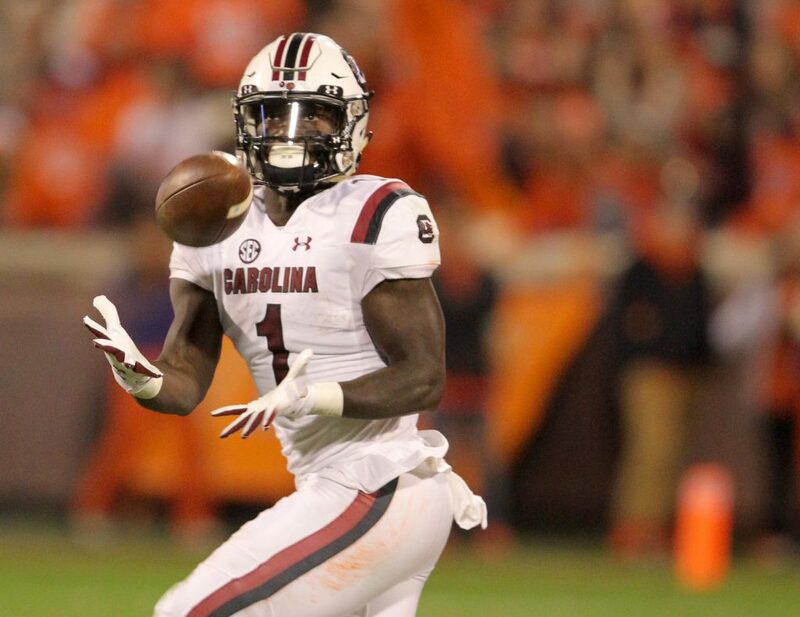 Johnson is another big WR who has great size and ability to go up and grab balls over smaller defenders. In two years at Buffalo he had 133 receptions, 2367 yards and 25 touchdowns. That’s some big production and it will just be whether or not his talent will translate and he ca continue to shine through the evaluation process to prove he’s a top-level talent in this draft. I’m looking for Johnson to have some good opportunity and to have a solid game despite being o a slightly loaded south roster at WR. Sweeney may not be a highly sought-after prospect to this point but I feel he’s someone who shouldn’t be overlooked. Over his 4 years at Boston College he caught 99 passes, for 1281 yards and 10 touchdowns. Not eye-popping numbers but impressive for a tight end. Playing for BC who featured AJ Dillions running ability, his ability to block is essential in that system and Sweeney has excelled in-line as a tight end. He could be a medium cost, mid-round selection that could pay dividends right away. He has surprisingly great hands and his ability to run block is going to be an asset to many teams as other tight ends may be a little further behind in their development. A big TE out of LSU, coming from another run first system, Moreau had some limited production. In his final two years at LSU he caught 46 passes for 550 yards for 5 touchdowns. Coming from the run heavy LSU system he can hold his own as a run blocker and has surprisingly good hands for someone who didn’t see a lot of opportunity. This may change at the next level if he can establish himself as both a run blocker and a serviceable pass catching weapon on play action. There are a lot of players looking to make a name for themselves. These are just some who peaked my interest prior and early in the week. Let me know of some other guys who you’re interested in and who have impressed you so far. It’s going to be exciting to see who shows out during the game. Thanks for reading, and hit me up on Twitter if you have any questions.